Make a difference by participating in the Conference service project! We are delighted to announce that 2019 will see us continuing our inspiring work, providing washable hygiene kits, for Days for Girls International as well as starting a new, complementary project tying fleece blankets for Crossroads. Days for Girls International has a mission to create a more dignified, humane and sustainable world for girls through advocacy, reproductive health awareness, education and sustainable hygiene. This is something our Sisters have been very excited to get behind and our efforts have been valiant. We completed over 80 kits last year and we are targeting the same goal this year. Completed kits from our previous years efforts have now been delivered all across Asia to countries including Cambodia, India and Vietnam. If you are at all interested in being one of the volunteers that delivers these life-changing kits, please get in touch and we are happy to help guide you through the process of training and researching a location to make deliveries. We need you! We are also excited to announce a new project this year tying fleece blankets for babies and children. 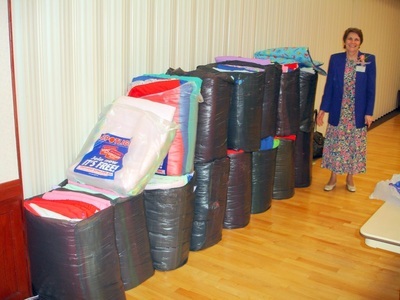 The blankets will be donated to Crossroads Foundation. A Hong Kong based non-profit organization, this will be our 3rd year working with the dedicated people at Crossroads and we are honored to be a part of their relief effort in the Asia region. 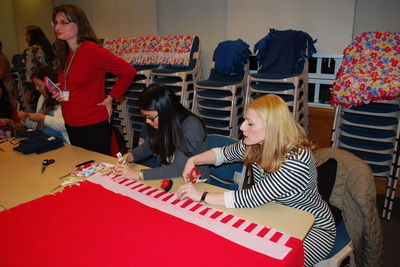 There is always a need for TEAM LEADERS during the service project hours at the conference. These volunteers will be provided instructions and put in charge of a project station. 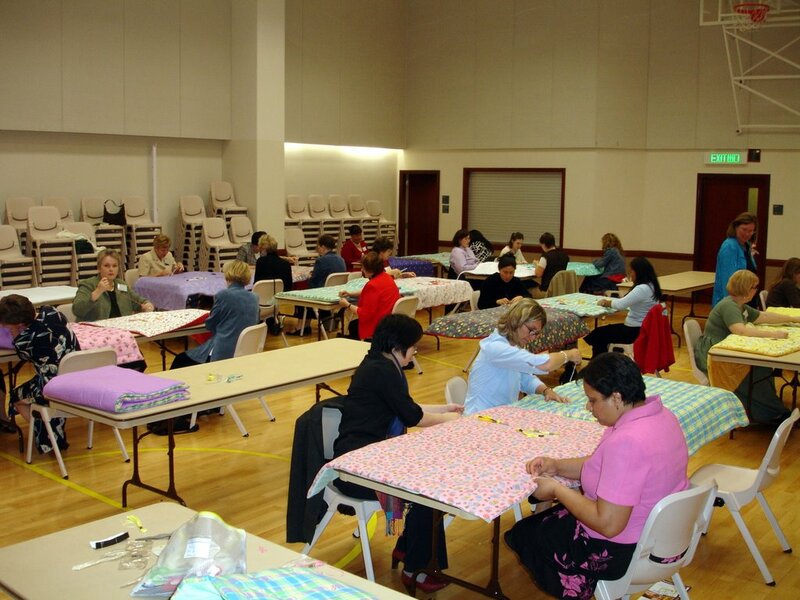 We are especially seeking women who have skills on sewing machines and sergers, or women who have worked the project before (come back we need you! ), but all are welcome and appreciated! We wish to acknowledge and express our gratitude for the financial support of the Asia Area Humanitarian Fund of the Church which makes these service projects possible. 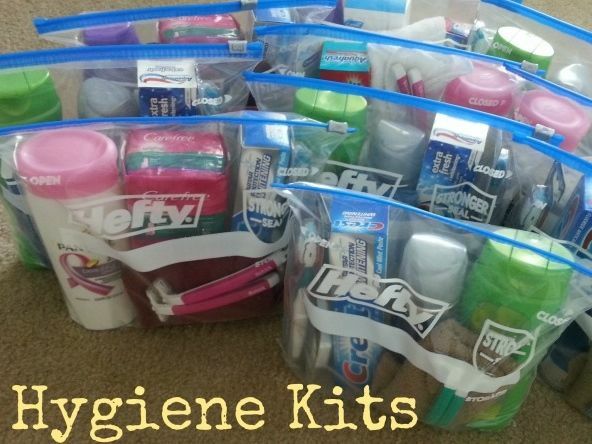 2018 - Days for Girls Reusable Feminine Hygiene Kits. ​Our 2017 completed Days For Girls kits were delivered to a girl's school in Siem Reap, Cambodia by Michelle Coleman, a Conference attendee. The girls were thrilled to receive both education and their kits from Michelle! 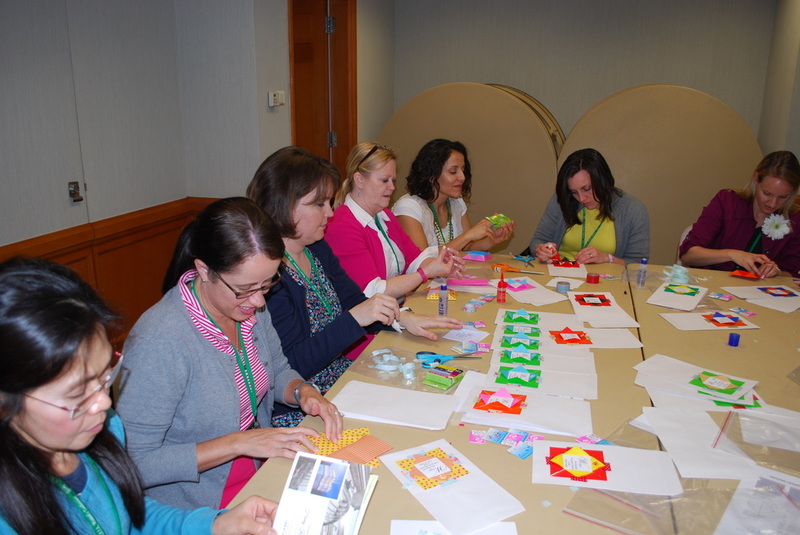 The service committee for the conference is seeking women to get started working on these kits in advance. We only have a cumulative 4 hours in the conference to work on them, so getting some work done in advance helps tremendously. We are asking women to work on making the bags that the kits will go into. The bags are fairly easy to make and require minimal machine sewing. 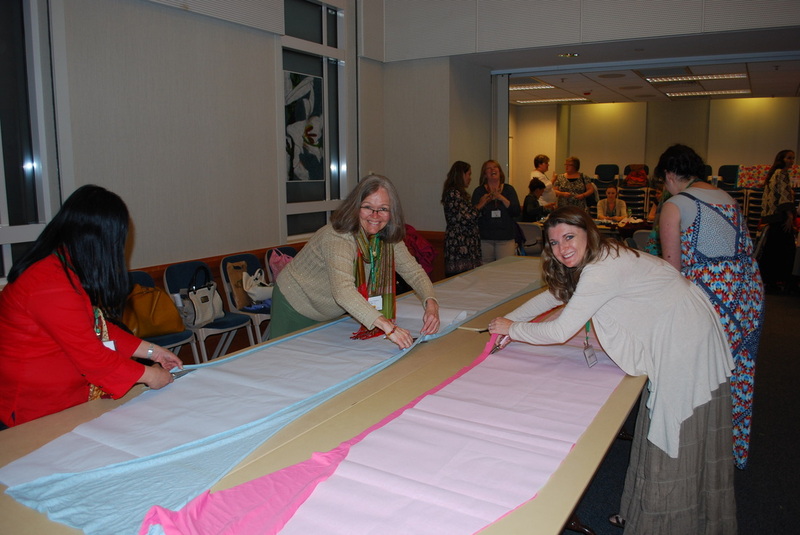 If you are interested in working on the bags in advance of the conference, please email Marné Fletcher at marnepi@gmail.com. Marné will send you a link to instructions and answer any questions you may have. 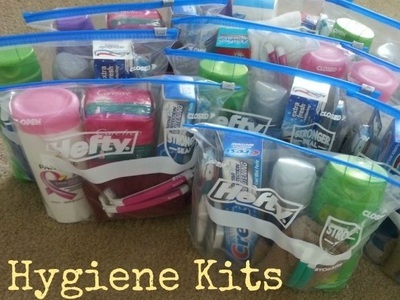 We are hoping to assemble at least 100 kits, so 100 bags completed in advance would be amazing! Gather together some sisters, even if they can't attend the conference, and get into the spirit of service and sisterhood! The service committee is also looking for women to help at the conference as team leaders. The team leaders will be in charge of a station and provide instructions on what to do. 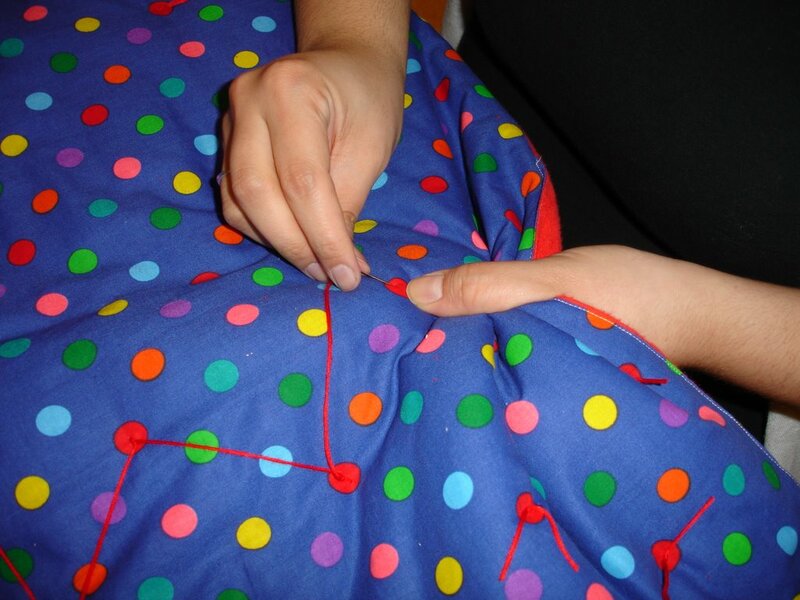 We are specifically seeking women who have some skills on sewing machines and sergers. But, all volunteers are needed and appreciated! When you register for the conference, you can tick the box that indicates you want to help with the service project or, email Marné Fletcher. ​We are excited to see what we can accomplish in 2018 together! See the process, production and distribution of the 2016 kits in Delhi India. 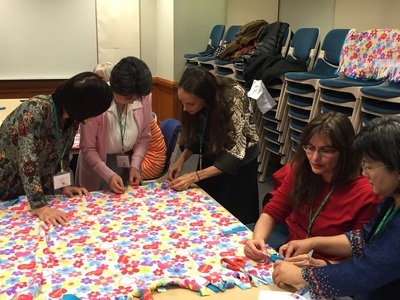 Sisters started on pre-conference work in their homes across Asia, and brought what they had done to add to the work we would do at the conference in Hong Kong. 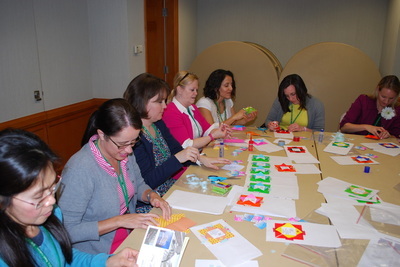 Here is a Mormon Newsroom India article about the distribution of 100 kits made by the sisters at the 2016 Women's Conference. 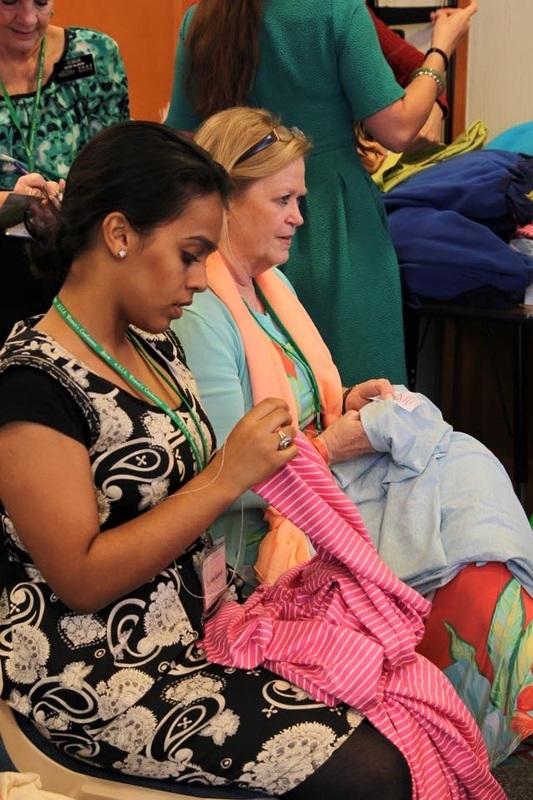 In 2014, women at the conference assembled, packaged and donated school kits that would be distributed by Crossroads Foundation. Each kit included basic supplies for school children in impoverished areas and where schools are trying to rebuild following natural disasters, such as the devastating Typhoon Haiyan in the Philippines in fall of 2013. 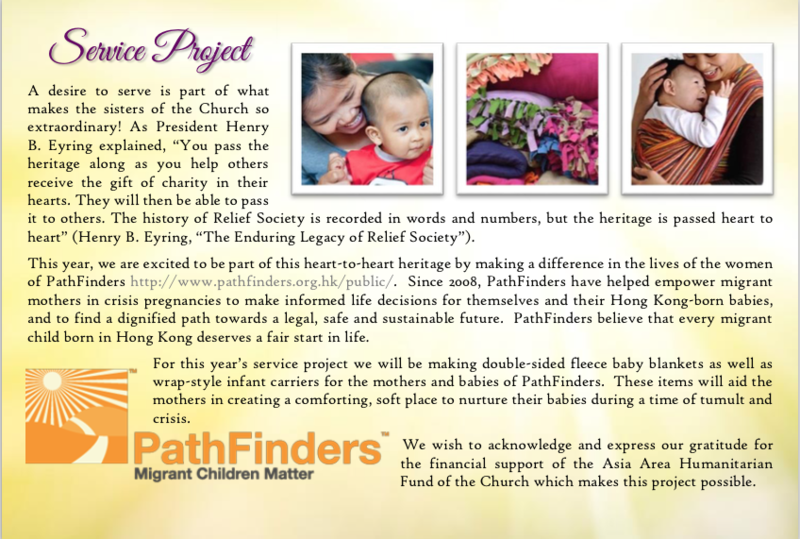 We were most pleased to be working again with the Hong Kong based Crossroads Foundation; who will be responsible for distributing the kits donated by the Associated Sisters in Asia to those in need across the Asia area. We wish to acknowledge and express our gratitude for the financial support of the Asia Area Humanitarian Fund of the church which makes this project possible. 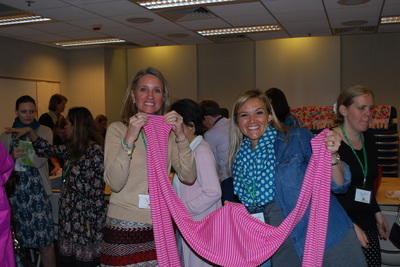 Our service project was tying fleece blankets to be donated to the Hong Kong Crossroads Foundation for distribution in relief efforts around the world. 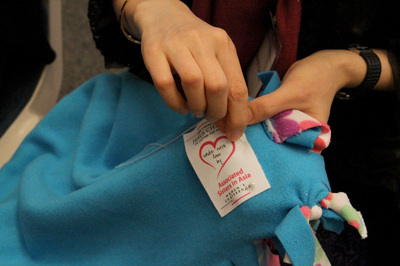 These blankets are always in high demand and much needed by children and families everywhere. Crossroads Foundation is a Hong Kong based, non-profit organization that serves people in crisis around the world. They believe that in our broken world that sees too much suffering, we should do all we can to link those who are in need, with those who can provide help. They provide an intersection, literally a crossroads, to bring both together. At the conference. we made both baby blankets and twin bed size. 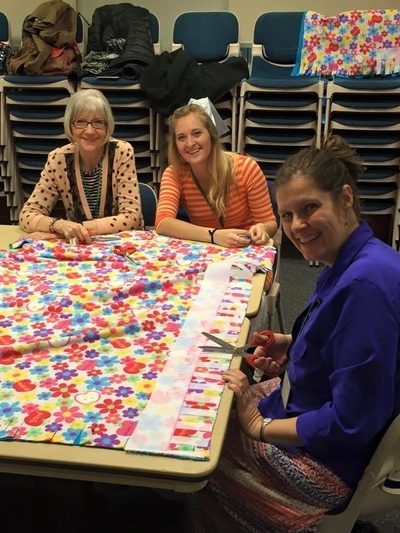 As sisters work together in groups to finish the blankets, we know that not only will we tie blankets together, but the time shared with each other will tie us together in friendship and fellowship as sisters in the gospel. follow us throughout the world. Leprosy, caused by Lepprae bacillus, is a chronic infectious disease mostly affecting the peripheral nerves, skin, and eyes. Nepal is one amongst the leprosy endemic countries with a leprosy prevalence rate of 1.65 per 10,000 in the population. Many of us are so blessed, we don't even realize leprosy is still a problem in the world today. 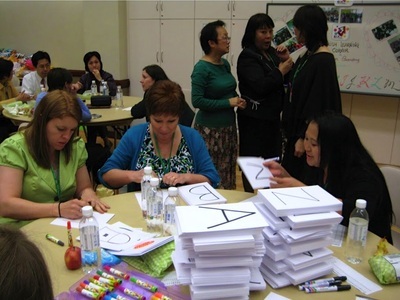 In 2012, sisters at the ASIA Women's Conference made a difference! We were pleased to work with an outstanding Boy Scout, Ben Perkins, in achieving his Eagle project by crocheting bandages that were sent to the leper rehabilitation center in Kathmandu, Nepal. The center treats between 100 and 300 patients each month in the hopes of some day eradicating the disease. 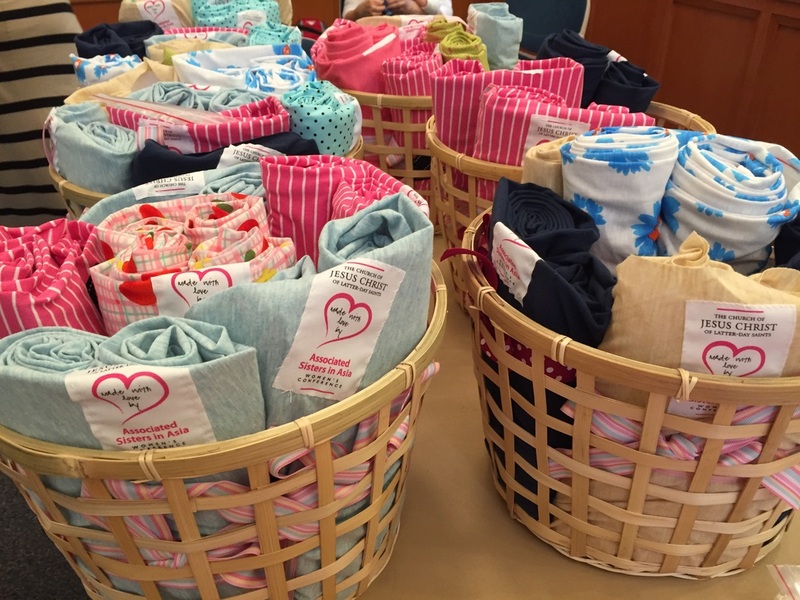 Thanks so much for helping hands that contributed to this important project. ARK Orphanage in Western China cares for children both in their orphanage and in foster homes in remote villages. ⅓ of the children they serve have special needs. 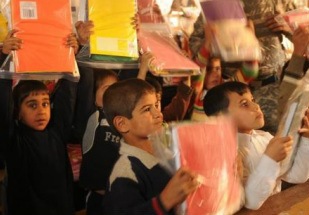 The orphanage expressed a need for hygiene kits and The House of Learning asked for learning materials to help local children learn English. 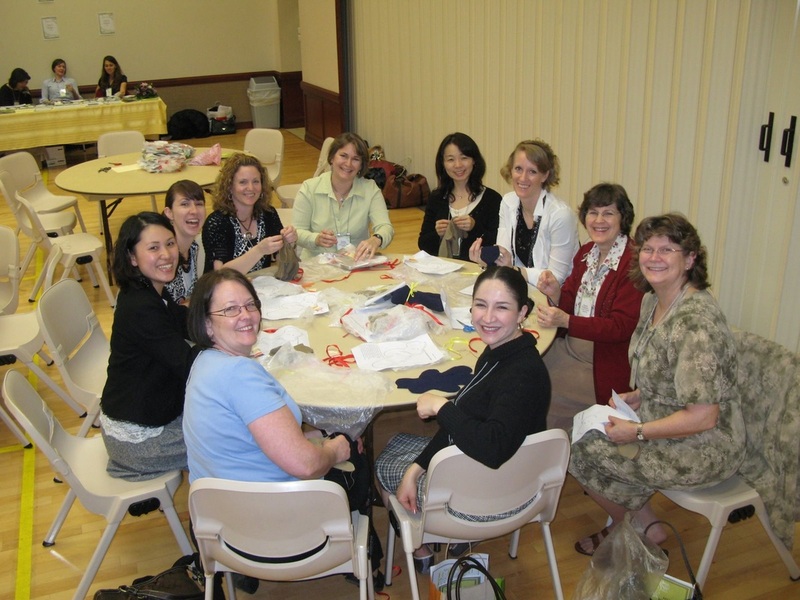 The sisters at the 2011 Conference eagerly joined in the effort to meet both these requests. 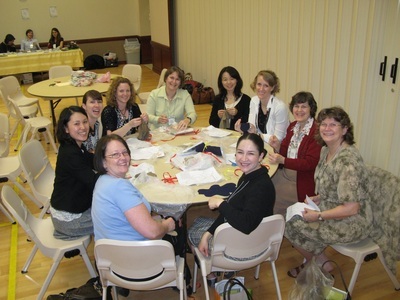 Sisters brought items for the hygiene kits from home and then assembled them during the service project. 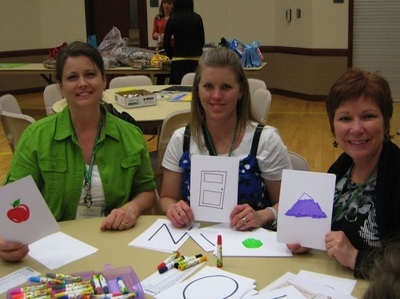 Some sisters excelled at the drawing of simple words to teach the ABC's, while those artistically challenged could stick to the letters... a job for all! 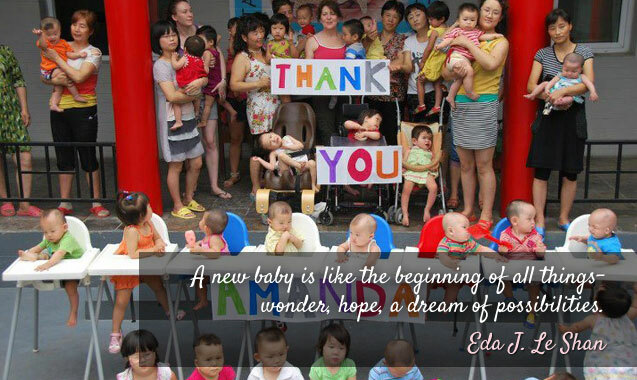 The Starfish Foster Home's efforts are dedicated to saving the lives of Chinese orphans with special medical needs. All of their children come from difficult beginnings and are in need of specialized care in one form or another. The moment a child enters the foster home the Starfish staff understands that the long term goal is to do everything possible to connect that child with a loving family. Their path to success is anchored in three distinct activities: foster care, medical care and adoption. Starfish is located just outside the city of Xi’an, China and can accommodate up to 60 children. In 2010, sisters in Hong Kong pieced together quilts before Women's conference started, and then conference participants tied and finished the baby blankets that were donated to the Starfish home. 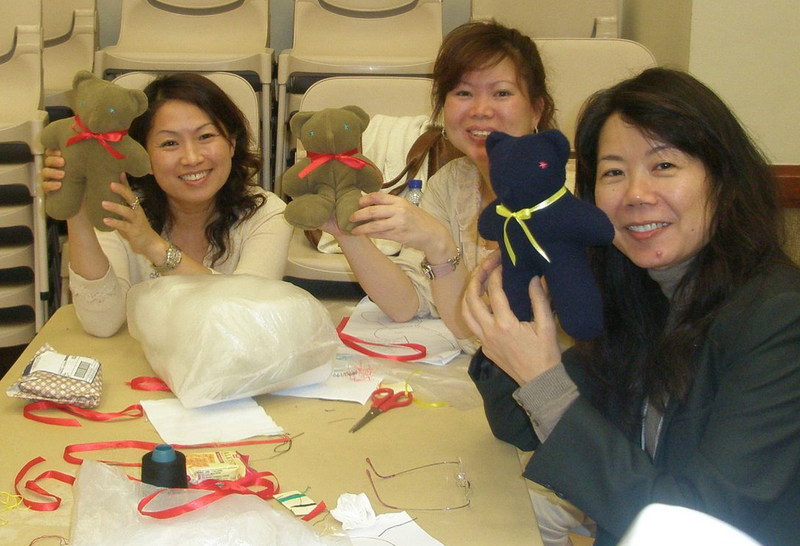 Cancer caps were sewn and donated to local oncologists through The Helena May (a group who promotes the welfare of women and girls in Hong Kong). 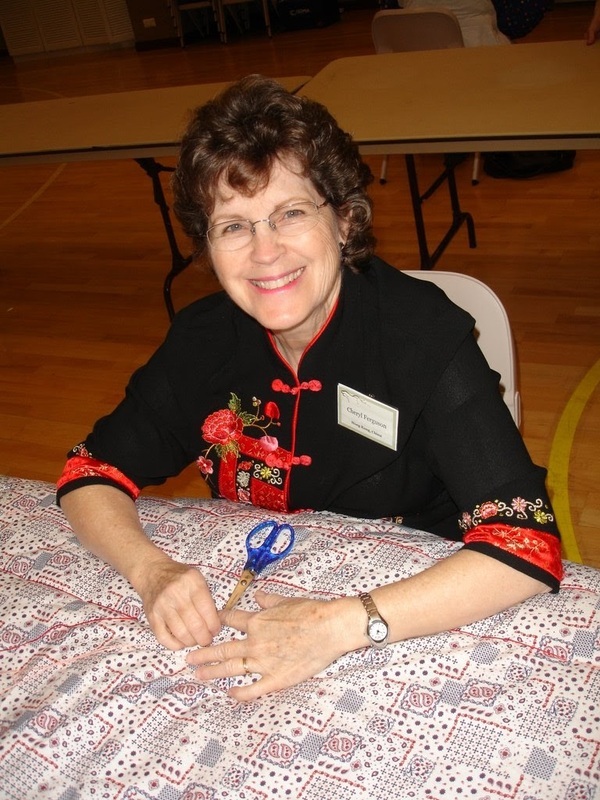 These caps help comfort women who have lost their hair due to chemotherapy cancer treatments. Two projects were offered this year. For those sisters who preferred hand sewing, felt teddy bears were pieced and tied and then individually bagged ready for donation to local orphanages in both Hong Kong, China and Taiwan. 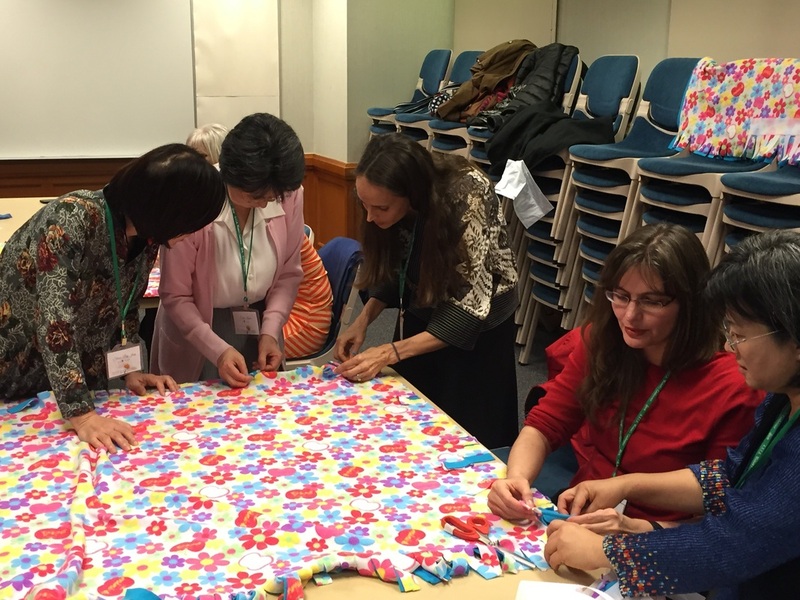 At this, the first ever ASIA Women's Conference, our project was to tie baby quilts and donate them to Christian Action Hong Kong. 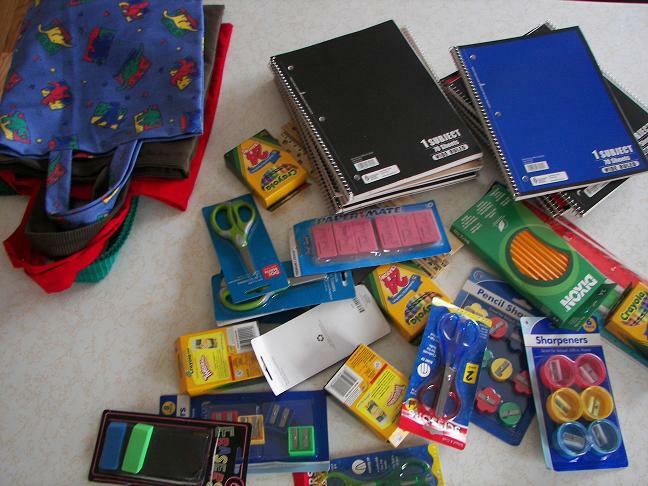 This organization's mission is to serve those who are disadvantaged, displaced or abandoned. They believe in taking genuine Christian action, a blend of love, mercy, advocacy, nurturing and training, and aim to follow the example of Jesus Christ who served all people regardless of age, gender, ethnicity or religion, and to seek out and help "the least of these." The local Hong Kong Relief Society sisters did a lot of preparation work in layering all the quilts before the conference. 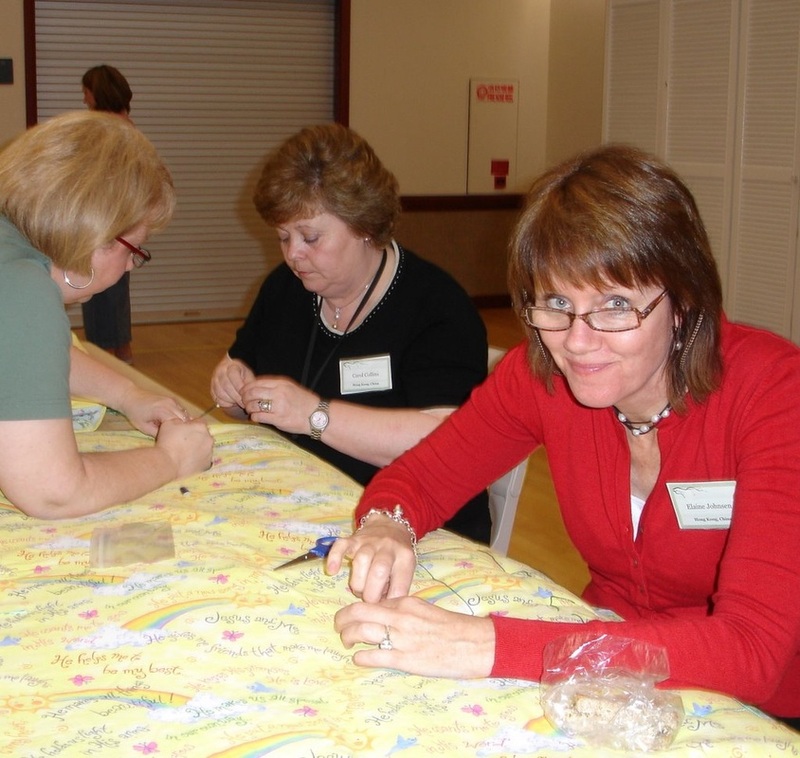 During the Conference weekend, sisters worked together to tie them and prepare them to be sent to Christina Action for distribution.